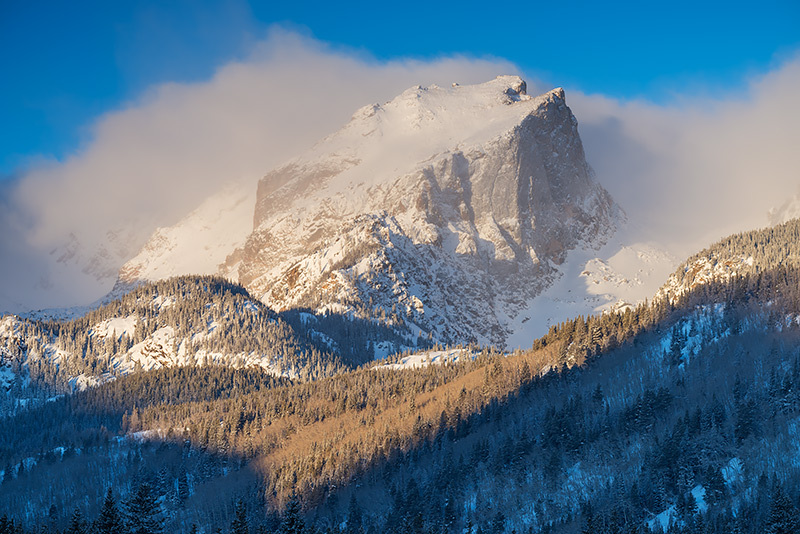 It's a cold blustery February morning in Rocky Mountain National Park. Snow had fallen the previous night and coated the trees with a silver frosting. The skies have mostly cleared but the last remnants of last nights storm cling to the sides of Hallett Peak. Photo © copyright by Thomas Mangan.